Padmaavat actor Shahid Kapoor and Mira Rajput bought a new sea-facing duplex apartment in Mumbai’s Worli for a whopping 56 crore. 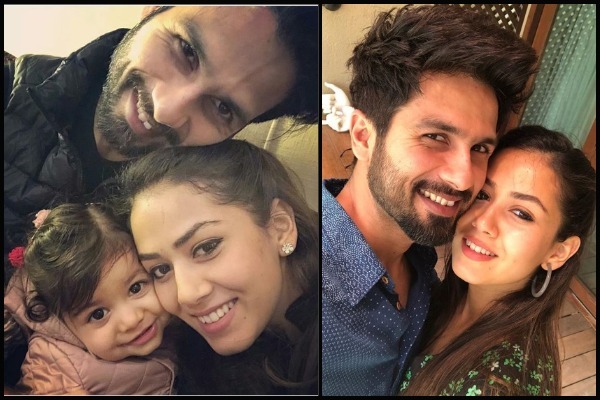 Looks like the days of endless frustration are over for Shahid Kapoor and his second time pregnant wife Mira Rajput Kapoor. It was reported earlier this year that ‘Padmaavat’ actor Shahid Kapoor and Mira Rajput had gone house hunting after the gradually growing prostitution menace in his neighborhood. And now it appears that the actor has brought himself a rather expensive relief! Shahid Kapoor Hosts A Baby Shower For Wife Mira Rajput Kapoor; See Inside Pictures! However, now those days are behind Shahid and Mira! As per reports the actor will soon be the owner of a swanky duplex flat in Worli. It is believed that Shahid has splurged about Rs 56 Crores on the luxury residences on the 42nd and the 43rd floor in Tower ‘B’ of the Three Sixty West buildings. Reportedly, Shahid has also shelled out sum of Rs 2.91 Crores on the flat’s registration. As per a report in DNA areas of both the luxury residences are 427.98 square metre and 300.48 square metre, respectively. Both the flats have a considerably large balconies spanning to 40.88 square metre. These numbers add up the total area of the residence to 801.30 square metre. Also, Shahid owns six parking lots which is obvious when you spend crores. Reportedly, the luxury property has been registered under the names of Shahid Kapoor and Mira Rajput Kapoor. Apparently, the property deal was finalized on 27th June and the property registration took place on 12th July. However, Shahid and Mira will not be the only celebrities living in those towers. Shahid Kapoor’s new neighbours will be Akshay Kumar and Abhishek Bachchan. Reportedly Akshay has paid Rs 27.94 Crores and Abhishek has paid Rs 41.14 Crores for the luxury flats.